Grace's Garden 1820-1860 by Betsy Chutchian peony 31552 14. This particular print would be wonderful for fussy cutting...Libby Morgan Rosettes or Lucy Boston Patchwork of the Crosses blocks, or it could be added to your stash to be used in a Dear Jane or Farmer's Wife. 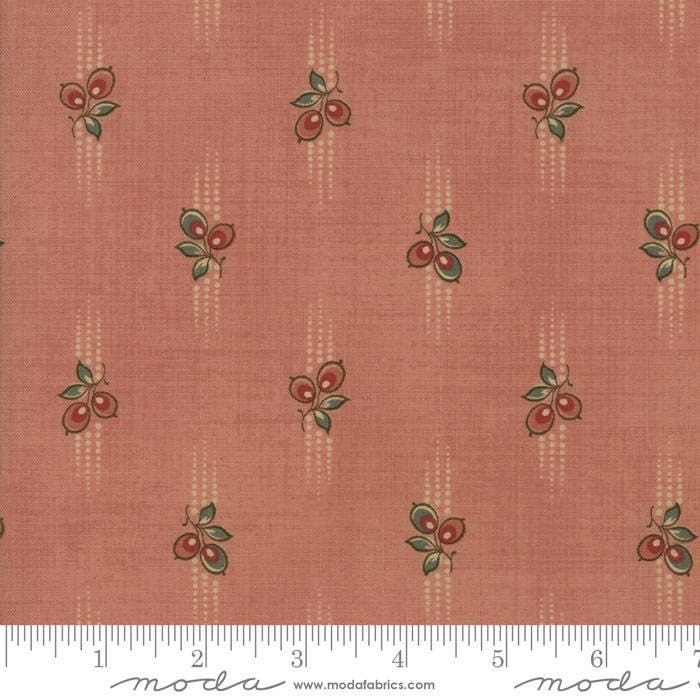 It is the perfect soft pink to be mixed with your collection of civil war era pinks...mix with browns, blues, or shirtings for a classic quilt.